The game “Two Truths and a Lie Ideas” is good for first meetings, because it’s an icebreaker. It is beneficial because participants can learn more about them and know more. 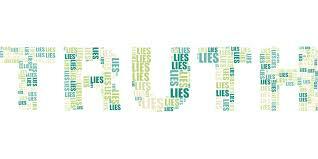 The goal of the game is for the participants to find out what things are true and false about a person. You can play the game “Two Truths and a Lie Ideas”. even from the first meeting with a group of young people or children. You need few materials but it’s important to be brave and be the one with the initiative. It prepares some small papers that participants will have to write down two real things about them and a fake one. Also, have a small jar in which you will collect the sheets after which the written ones will be read. ‍Step 1: After all participants have arrived, you must be ready with all the necessary materials and then you will explain the game and its purpose. ‍Step 2: Give each of those present a piece of paper and a pen. On this foil, the participants have the mission to write about the two real things and a false one. There may be things related to character, desires, etc. ‍Step 3: After you make sure everyone wrote it, start collecting the sheets in a jar. Then you have two choices as you continue. The first is to read the written or go to each participant and extract it from a sheet that you will read publicly. ‍Step 4: The person who extracts and reads will try to intuition the person who wrote it, then what is the real and the false things about it. Note that those who write about them do not indicate their name and family on the sheet. ‍Step 5: It’s nice and necessary to award a surprise to those who will find the true and false qualities of the people participating in the game. It’s easy to play the game “Two Truths and a Lie Ideas”, if you know something about the people involved then it is easier to find the real and the false things. But it’s harder for those who do not know people. In this case, you need to be careful about the details and your imagination will define what is correct and false. You can learn more about a person you may not know. Helps create a beautiful atmosphere.